Andrei Vassilov is an agent for The Secret Circle. 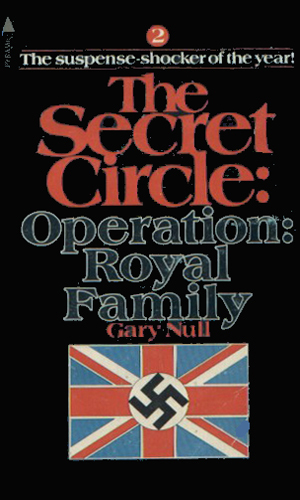 The original group calling itself the “Secret Circle” came together in 1797 in Russia as a means to help preserve the monarchy from the many forces seeking to destroy it. It succeeded for over one hundred years until circumstances proved too much and the czar and his family fell from power and died. At that point, the goal changed drastically as the survivors in the Circle rededicated themselves to destroying communism. Through the decades since, the existence of the Circle remains a closely kept secret with few outside of Russia even suspecting it might exist. But its tendrils reach far and wide as they have burrowed deep into every Intelligence agency in Europe and America. Information from all over the globe is at the fingertips of the heads of the Secret Circle. Prince Vassilov is one of the Circle's best agents. He is a master in numerous ways to kill a human. He speaks many languages fluently and without accent. He has an innate charm that can make him a welcome guest in any gathering and with his title and his bearing; he is made welcome many times in many places. Vassilov has been an agent for the Secret Circle for a quarter of a century at the time the two-book series begins. He has an intense hatred for the Russian communist government and a special fervor against the KGB as he was witness to the executions of his parents at their hands when he was nine. It had taken place in Kyoto, Japan at the end of WWII and he had remained in the area with foster parents and boarding schools as he grew older. He spent that time learning the identities of all the Soviet agents there and learning the art of bomb making. Eventually everyone involved in his parents’ deaths was eliminated. This devotion to vengeance and the skills he showed in carrying it out brought him to the attention of the Secret Circle which offered him a chance to broaden his battles and continue to strike at the regime that had hurt him so cruelly. He happily took their offer. Locked in his head, hidden by hypnosis, are all the plans for a new invasion of Cuba to rid that land of Castro and his regime. 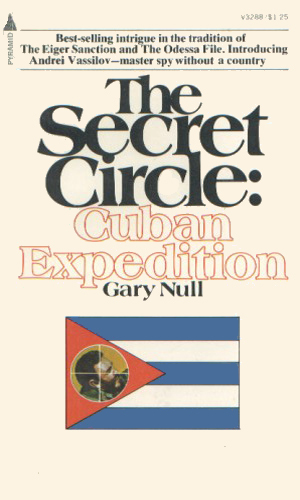 The only man who can pull that information for Andrei Vassilov is now being held prisoner by Castro in an island fortress. Word has reached the Circle that the Royal Family is holding someone in one of their castles, someone of great importance that the Circle must keep away from the Communists who are also learning about him. I had a hard time with this series. Now Vassilov, on the other hand, is a very capable agent and fun to watch and follow. So there are some bright spots in an otherwise not-good series.